That’s a question that baffled Karissa Lindstrand, the fisherman who spotted the uncanny image during a lobster haul, according to the Guardian. Lindstrand happens to drink up to a dozen Pepsi sodas a day, and she was struck by the image’s unusual dimensions. It was pixelated, she told the Guardian, and far too big to be seen on a soda can — theoretically debunking claims that the lobster grew up in a can. She’s not the only one to question how the logo got there. Since the image went viral, it’s sparked a debate on how a lobster became an unwitting mascot of a soda giant, the Guardian notes. Lindstrand, for example, thinks that ink from a piece of paper somehow fused to the lobster’s claw. One thing, however, is clear to everyone — plastic pollution in the world’s oceans has reached a crisis level. Each year, an estimated 8 million metric tons of plastic enter the oceans each year, which is like emptying a garbage truck of plastic into an ocean every minute. This pollution affects marine life in a number of ways, according to experts, by poisoning animals, choking them, entangling them, causing deformities, and through other consequences. Because these problems are taking place in the oceans, they’re largely out-of-sight. Until, that is, a strange or grotesque image that distills the issue goes viral. That’s what happened with the Pepsi lobster. And that’s what happened to these other animals. Billions of plastic straws are used each day and the vast majority are thrown away, never to be reused. A lot of this waste gets washed into the oceans, where it threatens marine life. One of these straws got stuck in a turtle’s nose, causing pain and impairing its breathing. Cable ties can be hard to loosen if you don’t have the right tools or the right knowledge. Otters are probably not savvy enough to manipulate cable ties, so when this otter was spotted with one tied around its neck, it caused concern that the creature was endangered. People feared that either the cable tie could get stuck on something, causing the otter to drown, or it could unintentionally tighten, causing the otter to suffocate. Either way, the cable tie should never have been in Britain’s River Stour in the first place. When fishing nets are discarded in oceans, they don’t stop catching creatures. 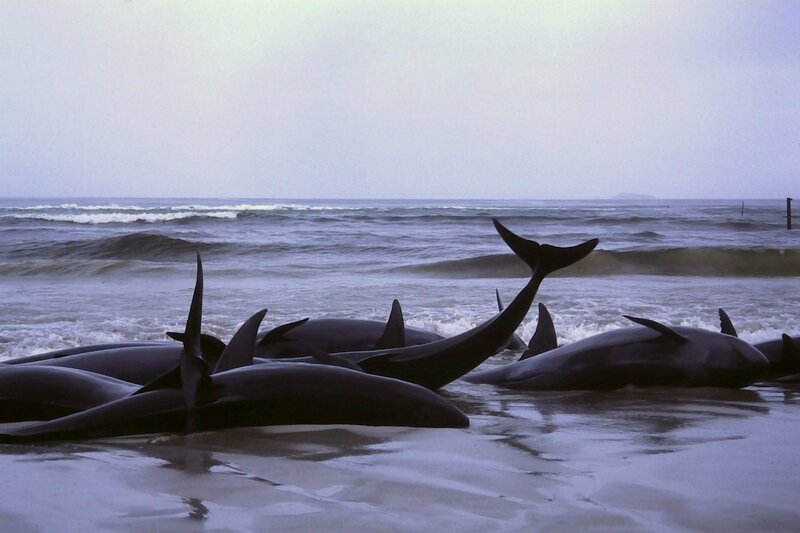 In fact, up to 300,000 small whales, dolphins, and porpoises get entangled and killed by discarded nets each year. 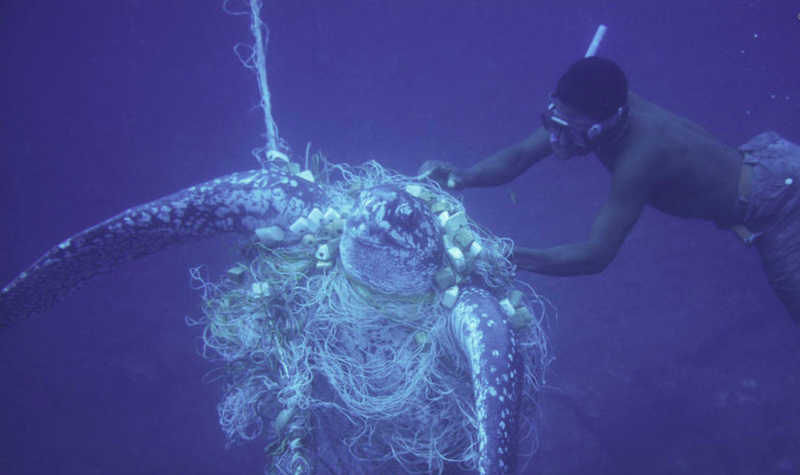 The single biggest threat to sea turtles, according to the World Wildlife Fund, is bycatch, including discarded nets. Many creatures get entangled in nets while they’re young and become deformed or injured as the net constrains their growth later in life. This turtle was severely entangled but was lucky enough to be cut free. As the world’s oceans get simultaneously plumbed of fish and filled with plastic, many creatures that depend on oceans for food eat plastic waste by mistake. While David Attenborough’s “Blue Planet II” team was filming, they captured a sad sight — a bird feeding its young a piece of plastic. 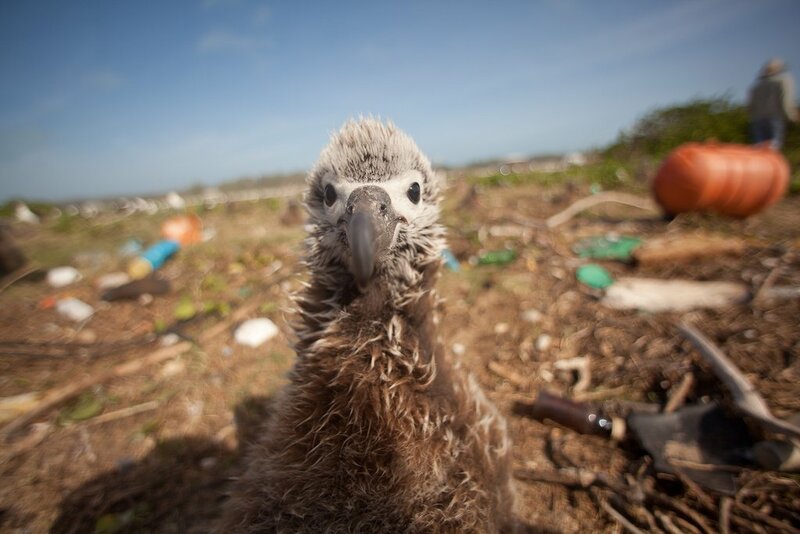 Birds throughout the world die from consuming plastic because it can clog their stomachs or leach poisons into their bodies. Creatures of all sizes can accidentally ingest plastic as they search for food. When a dying and emaciated whale was found off the coast of Norway, scientists and locals were shocked but not surprised to find more than 30 plastic bags in the whale’s stomachs. The bags were thought to have obstructed the whale’s digestive system, causing it to starve.